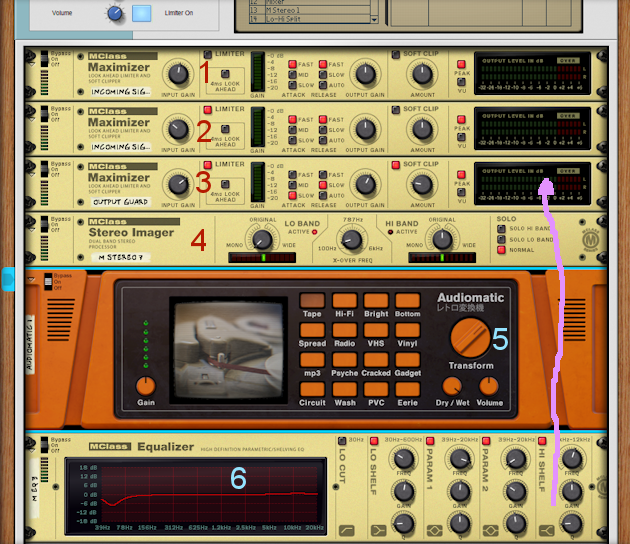 Ok, I've been working alot on the mastering-combinators during all these years and I'm introducing my latest one. This one is a bit different. It has a silk-smooth highs - thanks to the audiomatic's Tape. After loading the patch, open the combi. Then turn the incoming signal Maximizers to limit the signal 1-2 decibels. The third maximizer from the top, that is labeled OUTPUT GUARD, is the last device and be sure that the limiting is not too HOT. Otherwise, feel free to tweak whatever you want. The radical cut in the lows with the M-class EQ is there to take the lows down, as at least my music seems to need it a bit. If you like it or want to comment, then let me know, please. Just Re-Uploaded this, I just tried to make the Instant aka "GO" settings more there for you, right out of the box. I am at work. But could you post a picture of the combinator and explain your RE/VST choices and their chain locations. I find The post a bit vague/lacking information for those who can’t access the combinator and also insight on your choices. The idea of sharing your workflow decisions and your effort to make your overall sound great is fantastic. I'll do some more detailed presentation later, but right now I need to eat! Rice, chicken, vegetables, curry-sauce. Here's a quick introducement of the patch. So yeah, both Maximizers that are marked 1 - 2 on the pic, are the first devices in the chain. There's two of them only, because some of my projects are so loud that 1 is not enough to take the levels down. Maximizer marked as 3, is the last device in the chain. It's label says "OUTPUT GUARD". Number 4 is a Stereo Imager to reduce some low end stereo-field. The drawed pink arrow, just explains that the routing order after the 14:2 mixer, starts after that mixer, and ends in to the OUTPUT GUARD. Number 5, is Audiomatic that actually is in a big role to get this sound. The "Transform" knob:: - I oftenly turn more % and try to find a good sounding position for that knob. Number 6 is a M-class EQ. If there's need for more/less bass or highs I adjust them. Number 7 is a ReaXcomp multiband compressor that seems to contrast/round the sound up a bit. My default settings are these in this effect chain. And there's some more EQ's. I've done it for years i.e. cut those freqs over the highs with a PEQ-2 (number 8 on the pic). The pink arrow again telling you, that the routing goes upwards. And number 9 is a 14:2 mixer that just serves by summing the 4 bands together, nothing else. Number 10: These imagers just split the signal into 4 bands, that then go to the scream4's, except the low band, that has a M-class compressor instead. 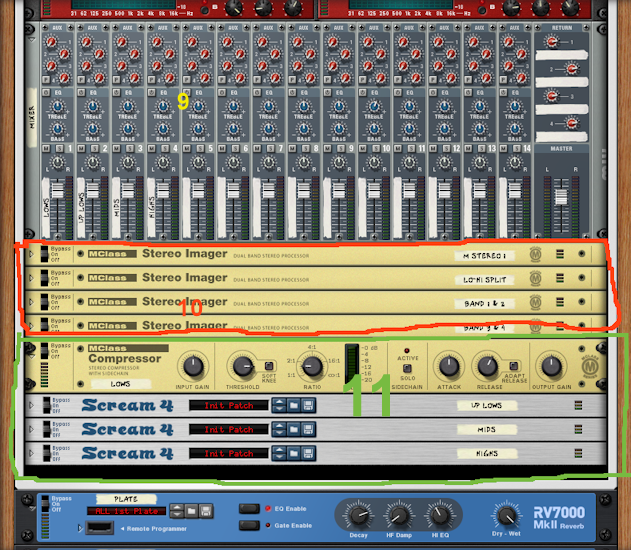 I just thought that lows are reduced too much if I woulda use scream4 for compressing it. Well, anyway, I'm going to update most of my songs that use this chain. I just save them with a new name and keep the old saves as well. Anyway, usually I just tweak the Transform on the Audiomatic, a bit EQ and the incoming Maximizers. If it sounds too nasty I take the first' or the second's maximizer input gain down til I like the sound. And OUTPUT GUARD can make-up in the levels if I need more loudness. PS. All the combinator's knobs and buttons are mapped. You can try these too, but usually I open the combi and tweak in there. Shame it does not work on Mac [emoji17]. Can't you load it anyway? 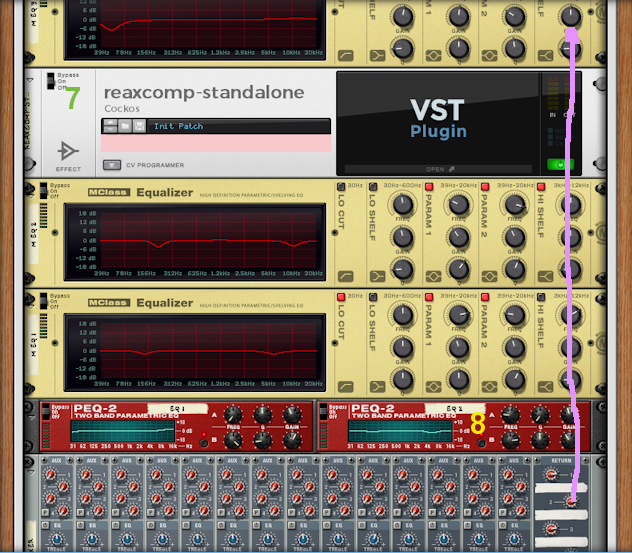 The ReaXcomp VST could propably be replaced with some other multiband compressor.